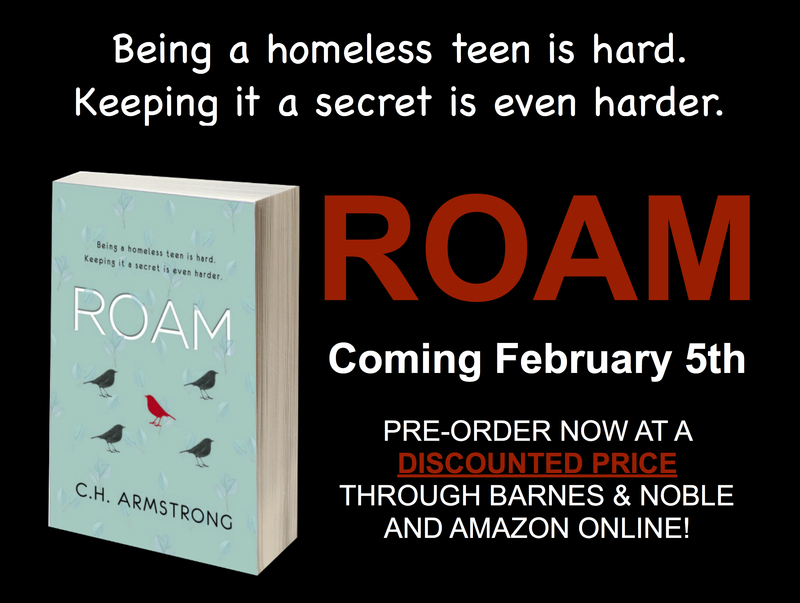 26 Days until ROAM! Win & Read it First! Continue reading 26 Days until ROAM! Win & Read it First! Sending out Happy Birthday Wishes to Tiana Smith, debut YA Author of MATCH ME IF YOU CAN! Happy New Year from C.H. Armstrong Books! Continue reading Happy New Year from C.H. Armstrong Books! Huge Congratulations to Kerri Ruth whose name was randomly selected to WIN the ROAM Holiday Gift Pack Giveaway! Win a Roam Holiday Gift Pack! Continue reading ELECTION DAY GIVEAWAY FOR ROAM!